Every year, music fans support independent shops in an age of streaming subscriptions. 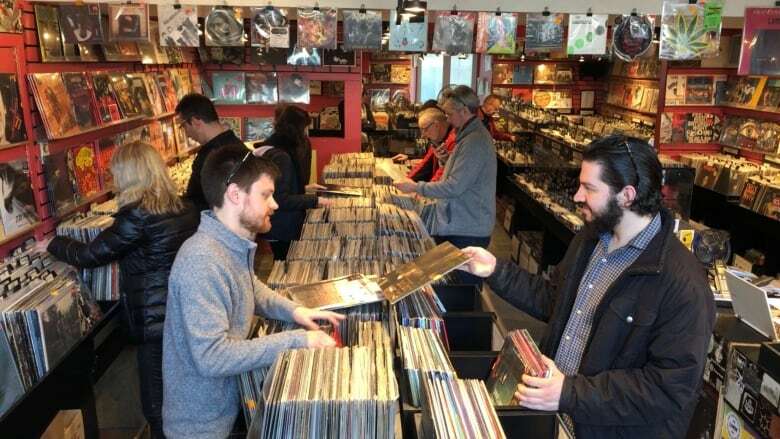 Music fans gathered at shops across Montreal to celebrate Record Store Day, an international event to support independent record stores. Every year, record labels ship out exclusive pressings to participating shops, which hold events such as in-store concerts and giveaways as well. But it's also an opportunity for vinyl lovers to come together and share their passion for the format. 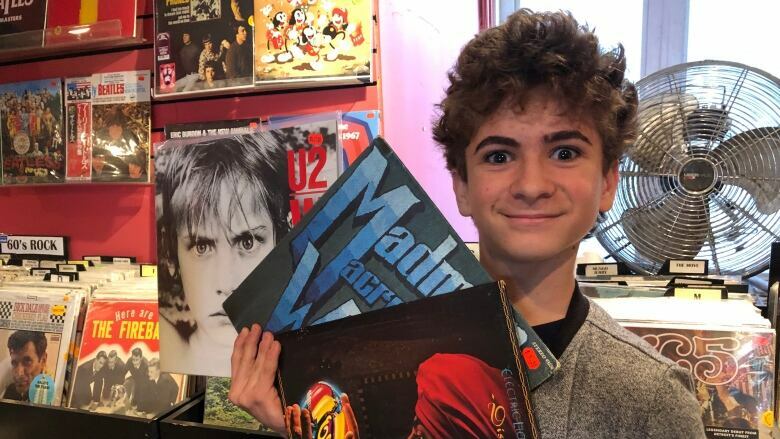 "I like to record my vinyl onto my computer so that I can listen to them when I go out to school or anywhere," said Émile Burbidge, who was browsing at Beatnick Records on St-Denis Street. The 15-year-old started listening to vinyl when a cousin received a record player for Christmas. Then, he discovered that his father had kept his old record collection. "The most important part is really the experience of putting on the record, listening to it and having an object, not just this thing in the cloud somewhere," he said. Beatnick owner Nick Catalano says he loves seeing young people learning about vinyl. "To them it's all new. Led Zeppelin, Pink Floyd, The Doors — they're buying the same music that my generation was buying." But it's not just older music that's playing through hi-fi systems. Vinyl sales continue to be one of the only bright spots in music sales as the popularity of streaming services grows. In 2018, Canadian vinyl sales surpassed one million units, according Nielsen's year-end report. Sales were up 25 per cent compared to the previous year. However, streaming still dominates, with 59 billion on-demand song streams in Canada last year, according to Nielsen. In the United States, the Recording Industry Association of America reports that vinyl sales had their best year since 1988, while digital and CD sales continued their decline. According to the RIAA, vinyl sales made up for one third of physical sales by value in the United States last year.